Weekend Warrior: Jack Roslovic - The Point Data-driven hockey storytelling that gets right to the point. Super Bowl weekend brought a number of strong candidates for Weekend Warrior but in the end, Jack Roslovic came through with arguably the best game of his young career. 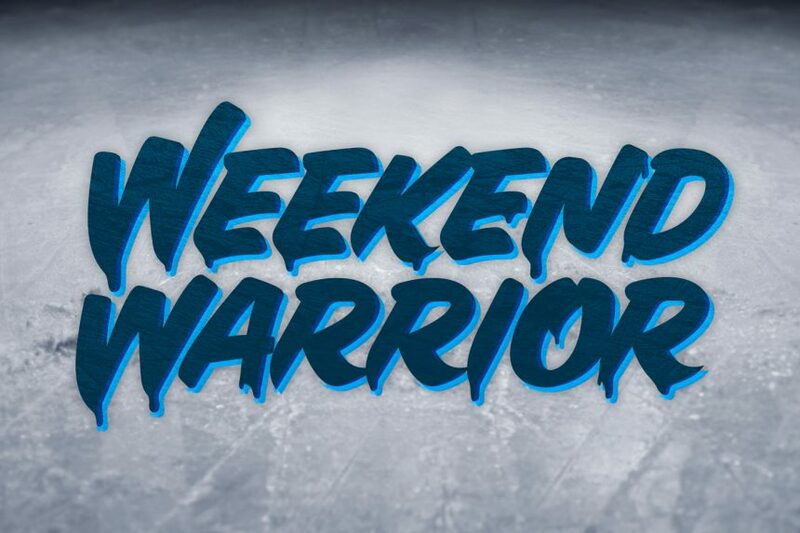 So congrats Jack, you are this week’s Weekend Warrior! In a game where offense was king, Roslovic capitalized on a game-high five slot shots on net. 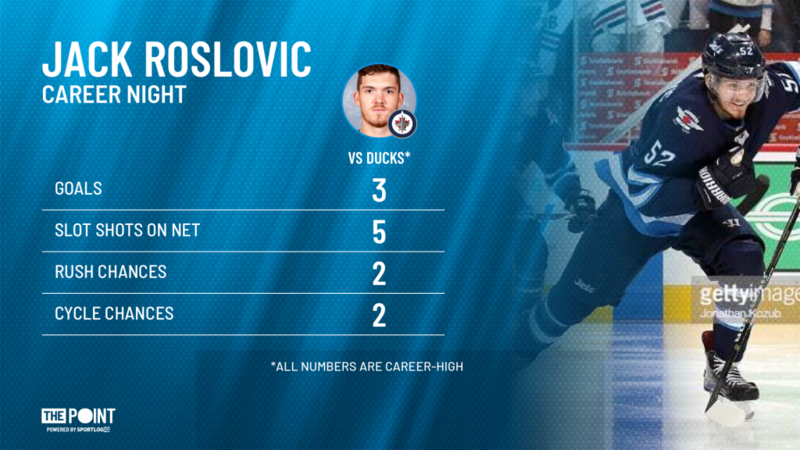 He set a number of career-highs as the Jets steamrolled the Ducks 9-3 on Saturday, scoring as many goals as the Los Angeles Rams had points during the Super Bowl. Roslovic scored all three of his goals on the powerplay and added an assist for good measure. He started off by sneaking behind the defense and receiving a long stretch pass from Jacob Trouba to score on a breakaway. His next two goals came off the cycle. First, he came down from the point and found himself wide-open in the slot and wristed one past John Gibson to score multiple goals in a game for the first time in his NHL career. Roslovic found himself in the slot once again, this time receiving a pass from Bryan Little right in the middle of the slot and one-timing it past Chad Johnson, who came in relief of Gibson after the 6th goal, for his first career hat trick. Roslovic was a player we highlighted before the season as a breakout candidate but he had a rough start to the season. He’s picked up his play lately with five powerplay goals in the last four games. If he reaches the heights we thought he could when the year started, the Jets may have found some extra scoring punch in their lineup for the stretch run without giving up any assets. Not that they necessarily need it, since they’re already the 4th-highest scoring team in the NHL, but it never hurts.